This towel is specially designed to fit Isabella's Thor and Loke Chairs. 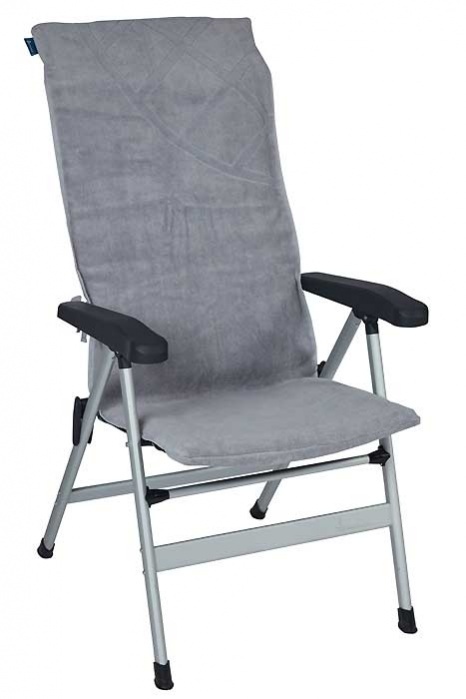 Because it's made to fit the chairs, the towel won't ruck up or slip down behind when you lean forward. The towel gives a comfortable and absorbent layer between you and your chair. It's ideal if you've been swimming as it will absorb the water from your swimwear. The towel is 124 x 29 cm in size however, it might shrink by up to 5%. It is made of 100% organic cotton and comes in grey with the Isabella porthole embedded in the top corner.